Update: I think that I was wrong about two of the photos, which were shot with the Planar. I had a chance to put the Olympus Pen E-PL1 and QBM adapter to a real-world test. 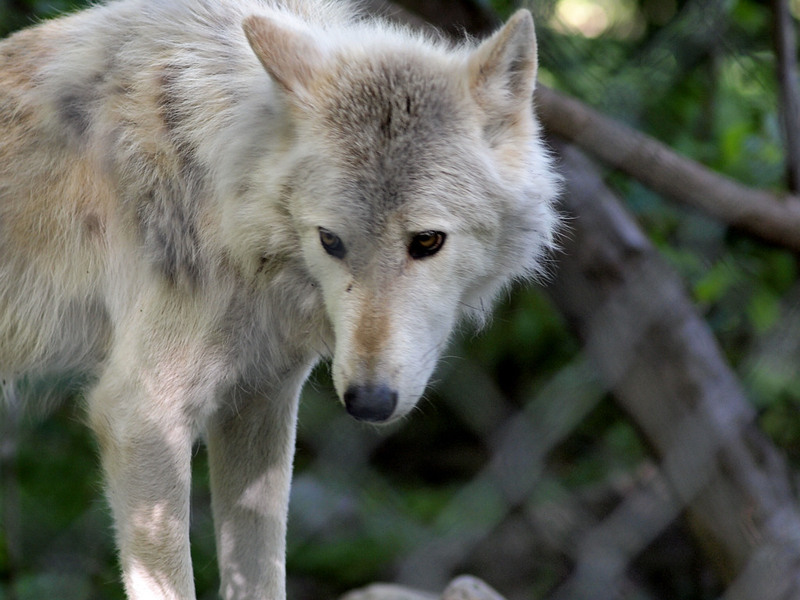 We took a day trip to the Lakota Wolf Preserve, which offers weekend tours. They take you between two areas where the wolves live. 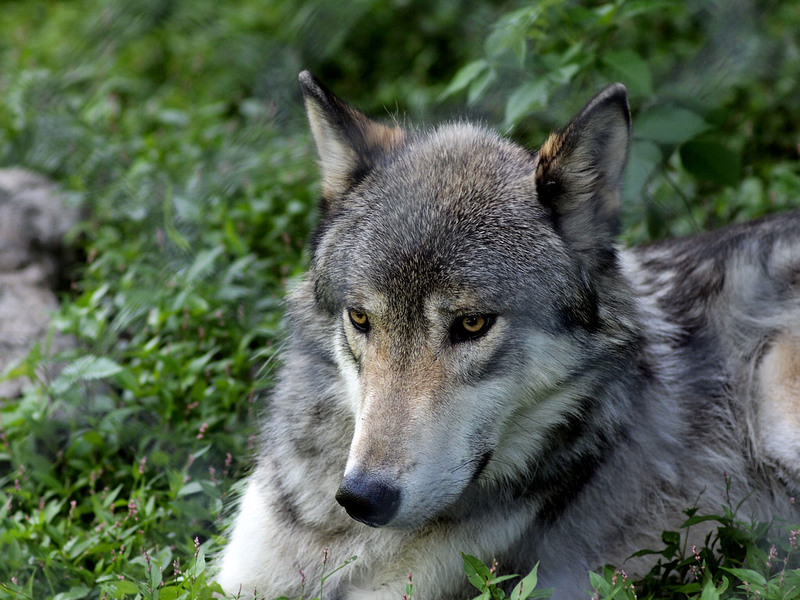 It's a good operation with the focus on the health and well being of the wolves and giving them plenty of space to be wolves. Think acres and acres of wooded land and ponds for each pack. I took the Olympus Pen and the f/2.8 135mm Sonnar. I also brought the Rollei 2X teleconverter, effectively giving me 540mm field of view when you factor the Olympus' 2X crop. I also took along the 50mm Planar. Aside from making sure that I had a fast enough shutter speed, there also were other things happening. One is that much of the property is shaded, which is good for wolves in the summertime but not so great for photography because you have to boost the ISO. With a small sensor, you always have the issue of noise once you get past ISO 640 (and sometimes beyond 400). 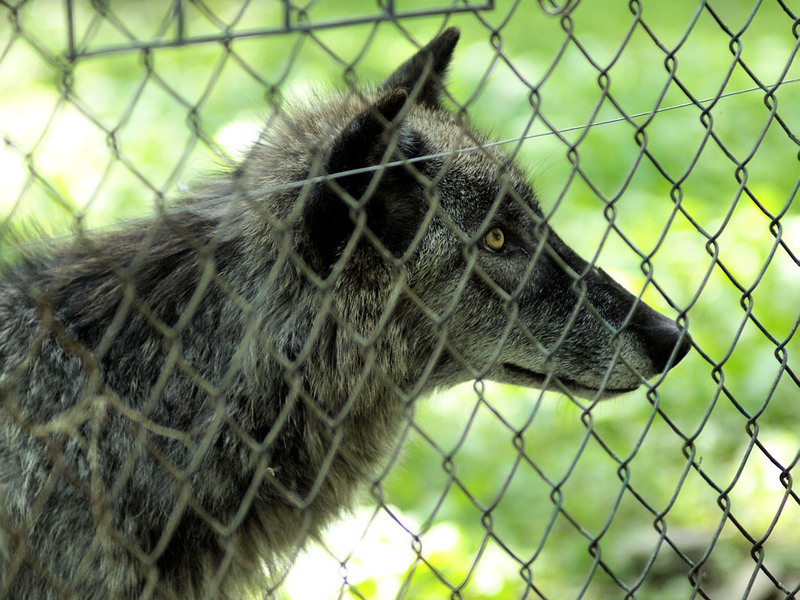 The second challenge is that there is a double fence for the safety of the wolves and for visitors. It usually is a challenge to shoot through once fence, but to have to shoot through two is an even bigger challenge. Luckily, in some parts, the fence was only three feet high. When shooting with a telephoto, it's nice if you can stop down a bit, but when shooting through a fence, stopping down can bring the chain link fence into focus. I tried to keep things between f/2.8 and f/4 and f/5.6 or f/8 on some of the long shots, which still meant shallow depth of field. I missed some shots because of the challenges of depth of field and trying to manually focus on a moving object. Overall, I was very pleased with the photos that I considered hits. Like film, I had a handful of keepers. And that 135mm Sonnar (which first came onto the market as an f/4.0 optic for the Zeiss Ikon Contax I back in the 1930s) showed that the design continues to be an all-star performer. Very sharp. The background can get a little erratic wide open (see the shot below). Overall, I like the lens a lot. I found that for me, a viewfinder was a huge bonus. I don't think that I could have focused accurately with Live View while trying to hold the camera steady. 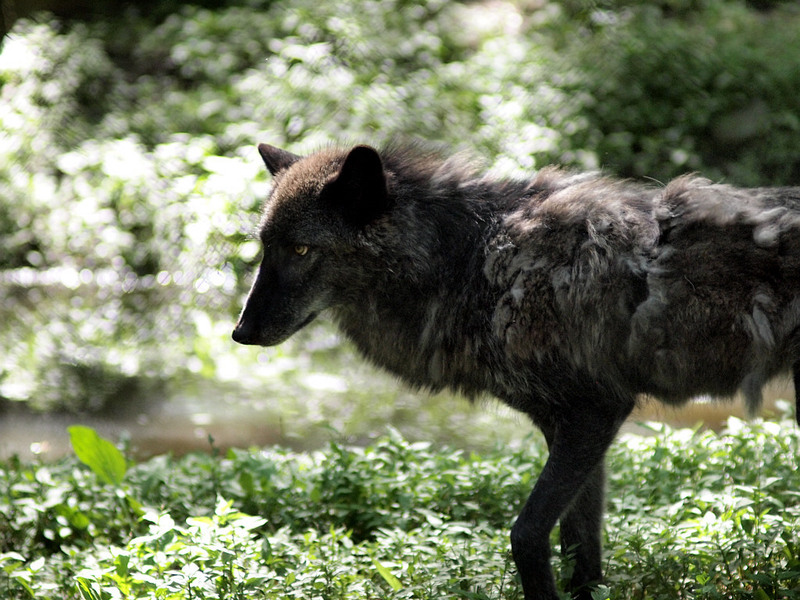 The wolves were losing their winter coats and were starting to shed like crazy. Just like your own pet does. Missed a bit on the focus. 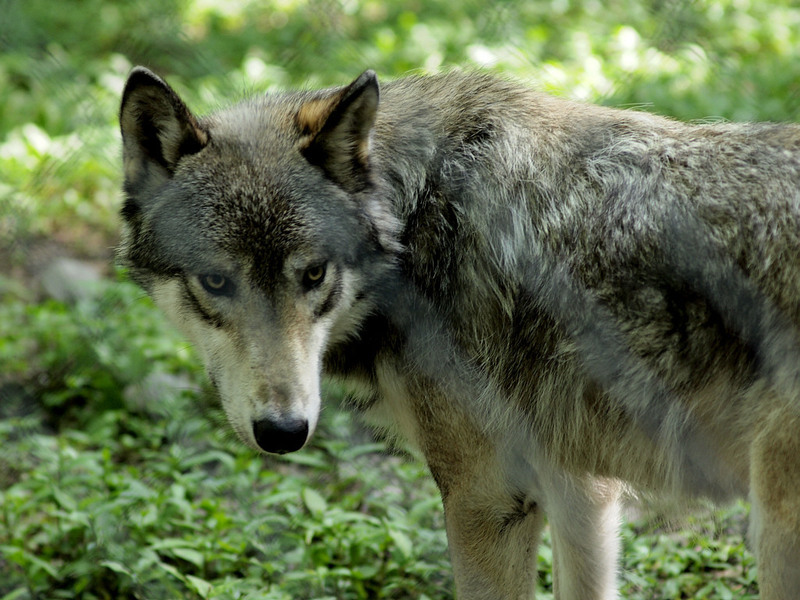 Notice how the wolf's coat on its body is in focus but the eyes are not. Last edited by melek on Mon Jun 16, 2014 8:01 am, edited 3 times in total. That is damn fine performance, Mike - Number 5, especially. Eyes seem perfectly in focus. These are handheld, yes? Oh yes. All handheld. They had quite a large group on Sunday (Father's Day), so there also was the issue of trying to stand in back or off to the side so I didn't block the view of the kids. We also got the bonus animal - a wild porcupine that climbed up the side of a tree before coming down and waddling off into the woods. I was thinking that a monopod would have been nice, just to give a bit more stability. 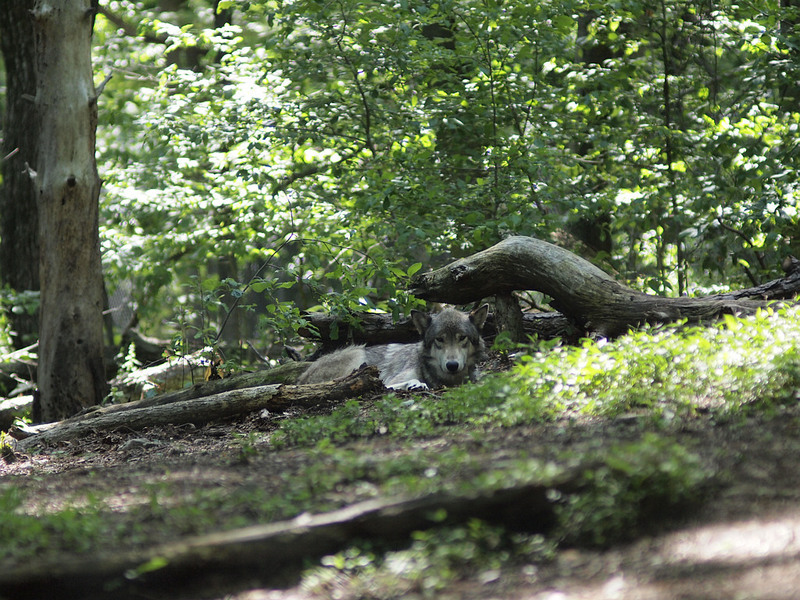 Hard to get good shots of animals in the heat of the day when they are resting, but you've pulled it off, Mike. One thing I really like about my newly acquired GX7 is the "picture in picture" magnified live view focus. It means you get accurate focus whilst retaining the framing.